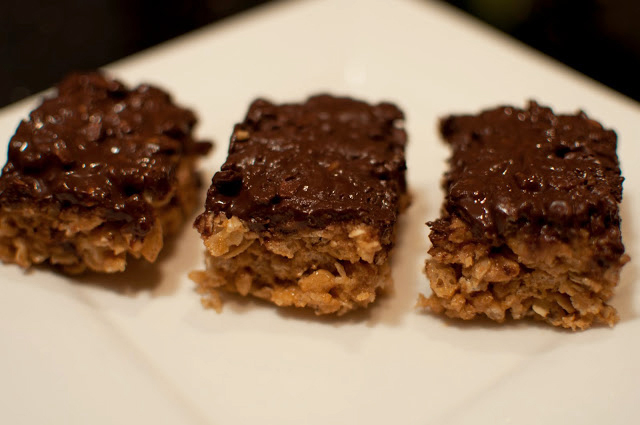 Peanut Butter Protein Bars are a treat our family has enjoyed for years. Although we call them protein bars, they remind me more of the Karo Syrup, peanut butter and rice krisy treats I loved as a kid. These taste the same or better! And are much better for you! If you don’t have protein powder, you can substitute powdered milk. A friend just told me about a recipe similar to this one that uses powdered milk and is delicious. We just made these tonight for a tasty treat before bed. The rest are in the fridge for a quick boost of energy anytime we might need one in the next few days. Heat the honey over medium heat on the stove in a 3 qt. pot. I like using this size pot because it’s big enough to use as a mixing bowl later. You want the honey to boil slightly, with bubbles at the edges only. 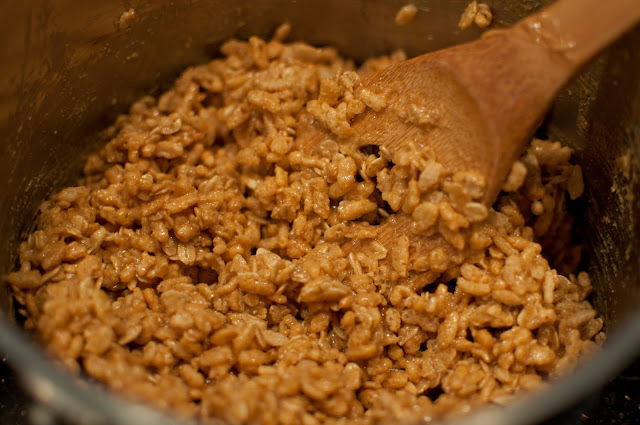 If it comes to a rapid boil your treats get really brittle.Once your honey is hot, add the next 4 ingredients, blending well. Add your rice cereal. 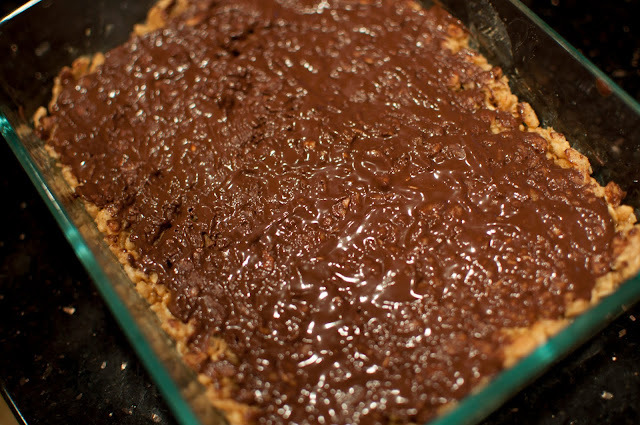 Use a spatula to push everything into an 8×8 baking dish and add your chocolate on top. If your ingredients are still hot, this should be enough to melt the chocolate. But I have helpers in the kitchen so my ingredients are usually room temperature at this point. I stick the whole thing in the toaster oven on low just to make the chocolate spreadable. 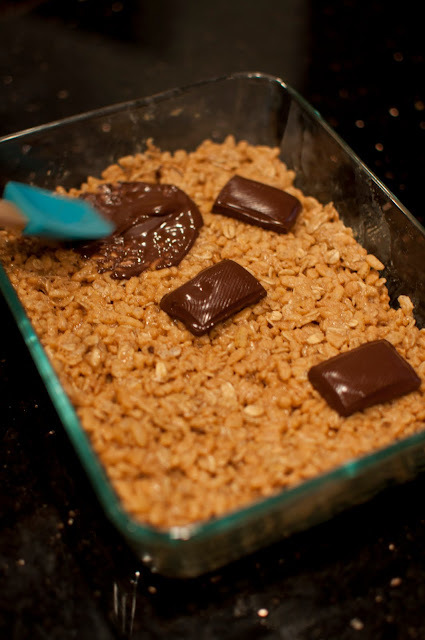 After the chocolate is evenly spread, take a sharp knife and cut into bars. It’s a lot easier to cut at this stage than after you’ve refrigerated them. Stick them in the fridge to set up a little. I like to keep them there since they last longer if I’m not constantly staring at them! This is what it should look like after the ingredients are all mixed! 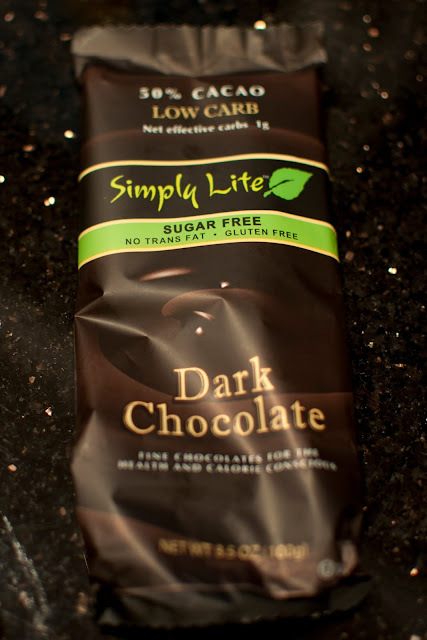 This Simply Lite is what I always use on top, but any dark chocolate will taste delicious! Any chocolate, sugar-free or not (let’s be honest) will work! My helper spread the chocolate all over. And we decided to add another two squares to adequately cover our bars. It’s alright if you decide to do the same!